After our night on the rocks in the North channel we knew without a doubt that our anchoring equipment needed some serious upgrading. For weeks after we got home I (Ben) would jump out of bed in the middle of the night and run to the bedroom window to "see if we were moving". In order to stop these nightmares I spend a ridiculous amount of time researching different anchors, chain/rode combinations, and anchoring techniques. We also found our Windlass had blown an oil seal on the gearbox and dumped it's gear oil all over the rope in the anchor locker. Time for a complete overhaul of our anchoring system. 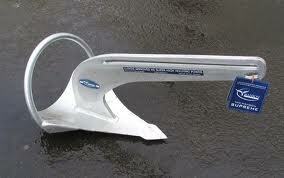 After much research we decided on a 25lb Manson Supreme for our new main anchor. The New Zealand built Manson Supreme received the Loyd's of London status of SHHP, or super high holding power. This anchor is also know to set within it's own length. The 25lb model is rated for up to a 34ft boat so it should have no problem holding our 26 footer! 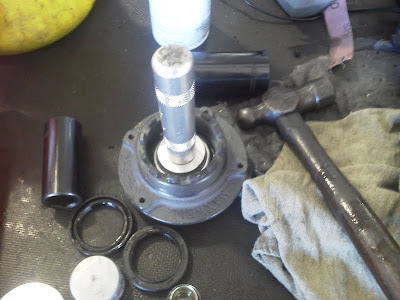 The next step was to reseal the gearbox on our windlass. 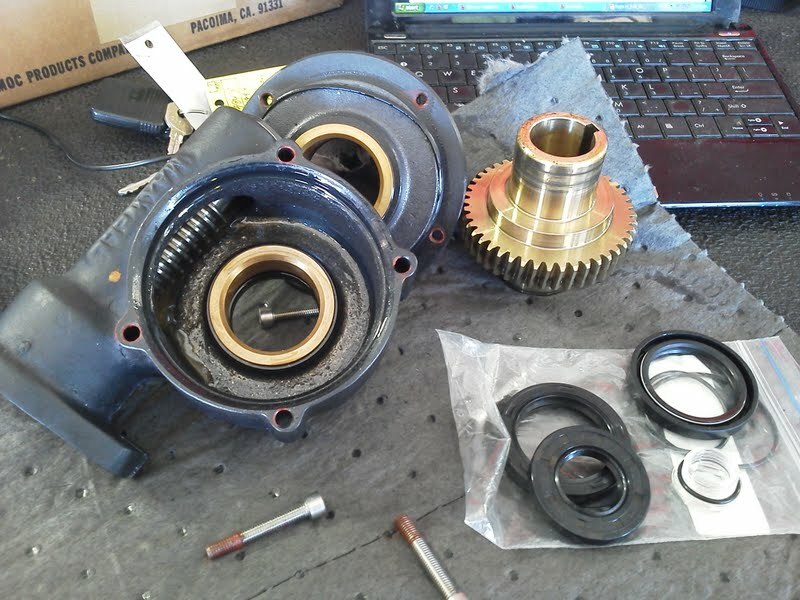 After removing the gear box I removed the gears, soaked them in solvent, and cleaned up any burs with emery cloth. The seals were easy to replace and for only the price of a 30.00 seal kit we have a like new windlass that isn't leaking and destroying our anchor rode. With the gearbox sealed it was time for the final piece of the puzzle, the anchor rode/chain. Our boat came with braided 8 plait nylon rode and 5 feet of chain. We decided to stick with the 8 plait rode but decided to add an additional 10 feet if 1/4inch high test chain to the new setup. The additional chain will help keep the rode on the bottom, prevent abrasion to the nylon rode, and maintain a better scope angle. 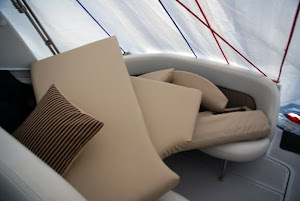 We ordered from a company called Seco South in Florida and were very impressed not only with their great prices but top notch customer service! The anchor package we ordered even came with a very nice chrome swivel that helps the anchor spin around into the roller. The final result! We couldn't believe how fast and how hard this new anchor set. As we backed down on the anchor for the first time, the boat abruptly came to a halt and we both flew forward....the anchor was set! It was nice to instantly feel the results of our upgrade! Great tale…All visitors could imagine the actual position right at that time and what more emotional ideas would have been coming during the time. No issue, but at last the job is done and you reached your heaven. Thanks for sharing this video.